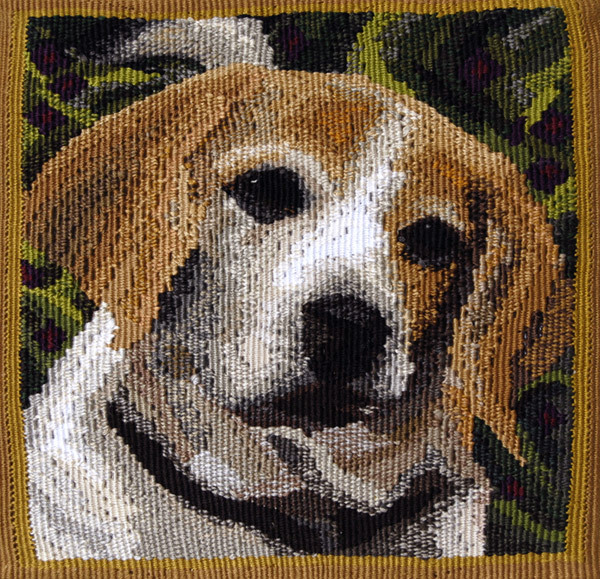 Tapestry is the most time-consuming technique I do. 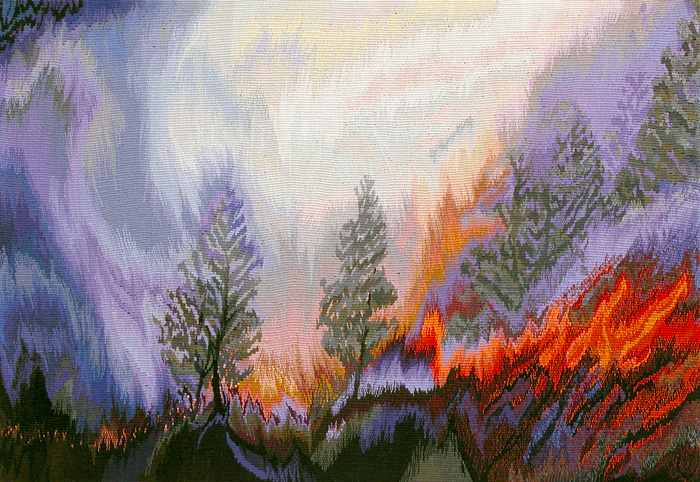 In tapestry, the warp threads on the loom are completely covered by the weft – the fibers that are woven on the warp – creating color shapes. 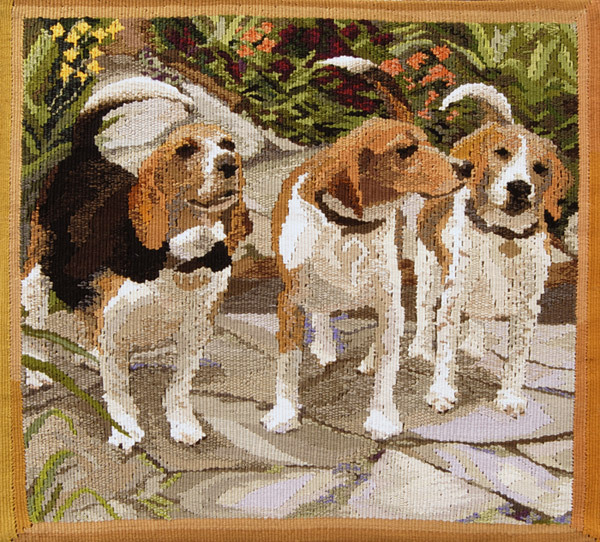 I did very few tapestries in my early work, but recently have enjoyed using tapestry in a photo-realism fashion, creating landscapes and even portraits of our dogs. 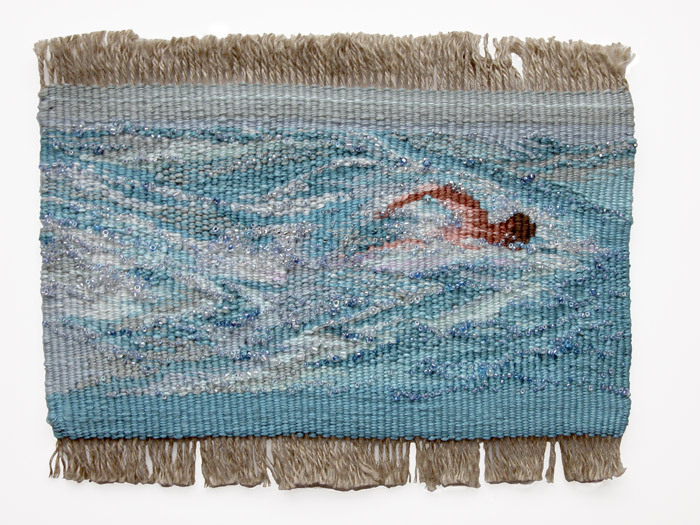 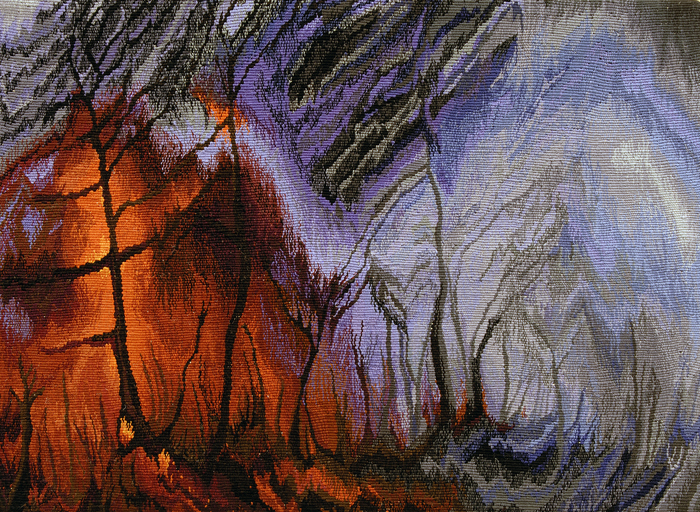 Because of the time I spend weaving these tapestries, I sometimes have a digital image printed of any one of my tapestries on paper-backed fiber, so that more people can enjoy my tapestry work. 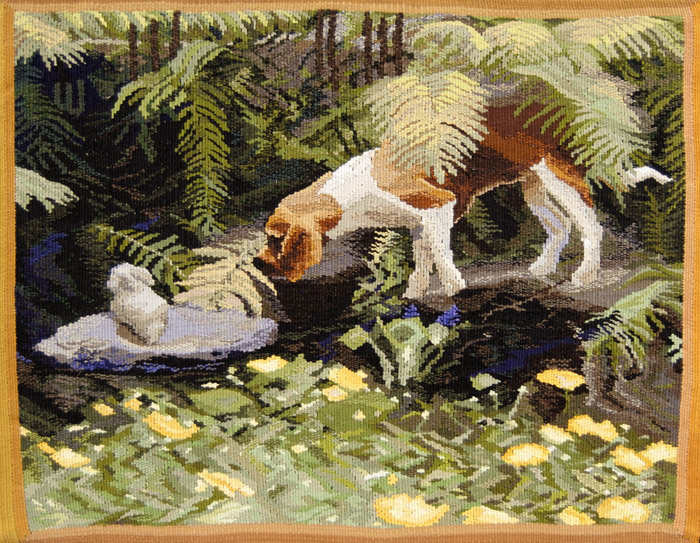 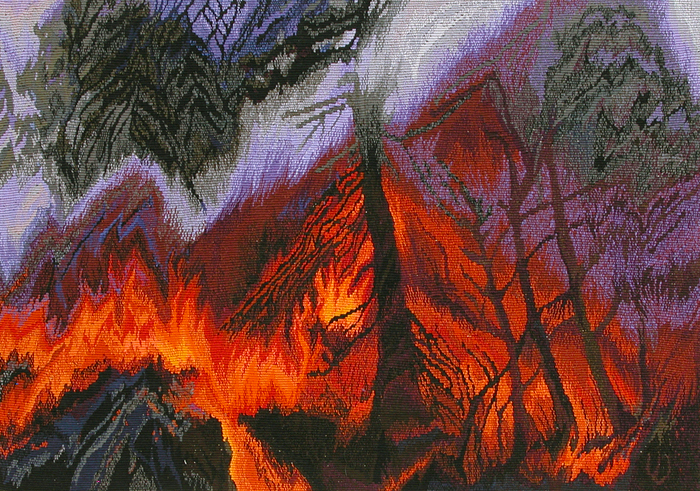 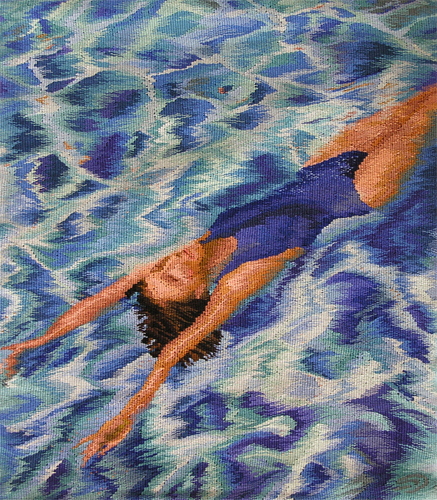 But, I also will do a tapestry on commission for a special subject matter when requested.